This is a Mass Effect Andromeda planet locations guide on the planet, Kadara. Here, you will learn details about the planet’s climate, wildlife, and indigenous species. We will be updating this as more information comes out. A terrestrial planet located in the Govorkam system, Kadara is home to outlaws. Warring outlaw factions fight over every available scrap. There is a port on its surface. Sloane Kelly resides there. 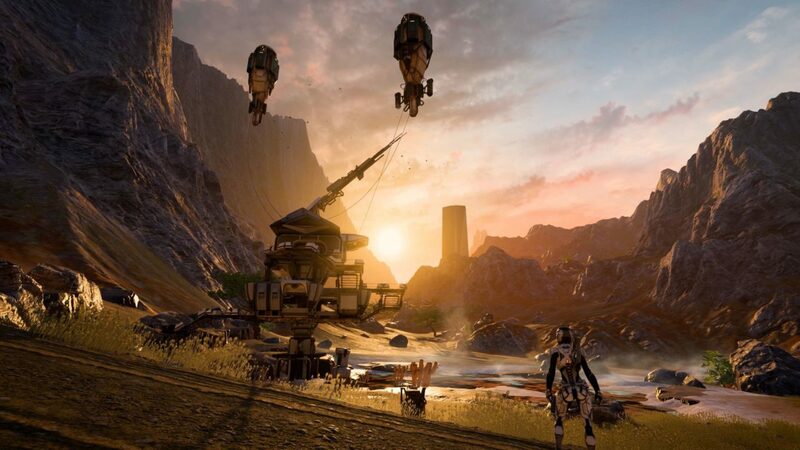 Kadara was of great interest to the Andromeda Initiative after it appeared on long-range surveys. Seemingly abundant liquid water and an oxygen-mix atmosphere made it a strong candidate for settlement, earning it the designation Habitat 4. Closer range surveys now reveal that Kadara’s water sources are tainted and unpotable. APEX reports that Kadara Port is currently contested by two factions: the pirate Outcasts, led by former Nexus security official Sloane Kelly, and a more mysterious group of spies and smugglers broadly known as the Collective.